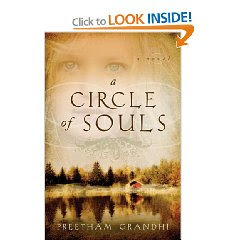 "Sacrifices, predictions, dreams, gods, psychiatry, addictions, and childhood traumas all make “Circle of Souls” a unique and believable story. The ending was complete. No loose ends. I was pleasantly surprised of how the main characters’ issues were resolved. I read this in two days, but afterwards realized I should have read this all at once to keep the suspense and emotional flow going, and that’s what I recommend, taking the time to read this straight through." Excellent review and it sounds like I'm in for a fantastic read!! I'm glad you liked it. i have it also and need to read/review it, and now that I know it's really a great read, it'll be easier.